If uncared for, North Carolina summers can ruin your lawn. The dry heat can quickly turn lush green lawns dry and brown. With the summer warmth also comes summer intruders including weeds, insects, moles, and various other pests. So what preventative and maintenance measures can you take to ensure that your lawn is beautiful and inviting all summer long? Grass depends on 3 main factors to grow and flourish: Soil, Sunlight, and Water. During the warm June, July, & August months in NC, your lawn will be getting plenty of soil and sunlight. So it’s up to you to provide the water. A timed Sprinkler system is ideal, but not everyone has a water management system readily available. Not to mention some areas have strict water conservation ordinances. If a sprinkler system is not an option, then manual watering is the next best choice. Water your lawn deeply and infrequently, as to not overwater. We also recommend watering lawns early in the day, to prepare them for the intense midmorning and afternoon heat. While insects and small rodents are perfectly natural within a healthy North Carolina lawn, they can also be a nuisance when trying to maintain the overall beauty of the grass and shrubbery. It is important to try not to remove every living creature inside your yard. Insects are beneficial and necessary, so don’t attempt a complete eradication. Applying a mild insecticide in late June or early July will help control many insects common to NC such as beetle grubs, European Chafers, and Japanese Beetles. A mild insecticide is best because it will usually not cause much harm to the beneficial insects throughout your lawn. Moles, Voles, and other rodents are often harder to eliminate from your lawn. The Hicks Landscape Pest Control Team are experienced in the humane removal and long-term deterrence of lawn rodents. Rodent traps are available at local hardware stores, however, these traps are often brutal, and medieval in design and intention. These types of traps are also not very effective in long-term pest removal because they only eliminate a single creature per use. Humane forms of repellent are widely agreed to be the best pest removal methods. Certain weeds and crabgrass are common in the North Carolina summer. Removing the weeds and crabgrass from your lawn can change an average lawn with patchy grass spots into a beautiful, lush field of healthy green grass. So what is the best way to remove weeds and crabgrass from your lawn? Well you could handpick them, being sure to remove the roots as well as the exposed stems. But this method is usually a bit tedious, time-consuming, and backbreaking for the average homeowner. We recommend using high-quality herbicides and weed killers. These are usually sold over the counter, and can easily be applied to weedy areas via a spray bottle. This method will not be very effective for lawns which have more weeds than grass, but can help against small patches of weeds or invasive crabgrass. Does this sound like too much yardwork? All of these tedious tasks can be done for you with one simple phone call. Hicks Landscape Contractors specialize in creating beautiful green lawns year round. 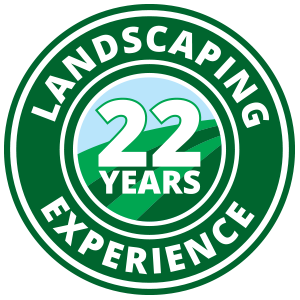 Contact the lawncare professionals at Hicks Landscape today to learn about the many North Carolina summer lawn care services offered by Hicks Landscape!